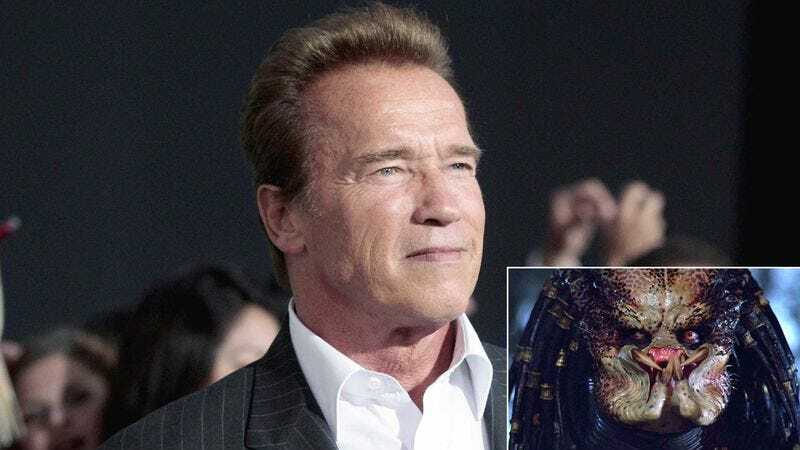 NEW YORK—In a new autobiography published Monday, action star and former California governor Arnold Schwarzenegger admits to many indiscretions that strained his 25-year marriage to Maria Shriver, including a steamy extramarital affair with the costume from the 1987 action movie Predator. “From the moment I arrived on set and saw that Predator costume hanging in the prop closet, there was this intense sexual energy between us, and truth be told, I couldn’t keep my hands off it,” Schwarzenegger writes on page 266 of Total Recall: My Unbelievably True Life Story, explaining that his relationship with the 200-pound suit was “purely physical.” “The minute the cameras stopped and the stuntman inside the costume got out of it, I’d take the suit back to my trailer and have my way with it. Those rubber dreadlocks and polyurethane fangs really turned me on. At night, I’d sneak back into the wardrobe department so we could do it all over again.” Schwarzenegger added that along with the Predator costume, he also had affairs with the set of Mars from Total Recall, the computer used to render the shiny alloy puddle from Terminator 2, and Twins co-star Danny DeVito.